This year marks 150 years since the passing of the Tzemach Tzedek. In honour of this historic milestone, the Rabbinical College of Australia & New Zealand is proud to present a compilation entitled “Daas Elyon” (“Supernal Knowledge”), which highlights some of the enormous achievements of the Tzemach Tzedek, as well as brief biographies of the Tzemach Tzedek, essays on the topic of joy, and inspirational stories and teachings. This publication is inspired by the Rebbe’s call to mark every Chassidic milestone in a significant manner. This project was spearheaded by Rabbi Yaakov Winner, with special thanks to Shliach Elimelech Backman. Please visit this link to access this compilation. Yeshivah Gedolah is currently celebrating its 50th anniversary. In honour of this momentous occasion, we are pleased to reproduce a reflection written by the Rosh Yeshivah, Rabbi Binyomin Cohen, and originally published in Hamodia. It should be pointed out that the one posing the question was not just looking for an excuse to save himself money. He could genuinely not see any need to establish a local institution where bochurim would learn Torah the whole day. His own sons had all studied in Yeshivos in Eretz Yisroel, and he felt that there was no necessity to reproduce in Melbourne what would inevitably be merely a pale imitation of its more prestigious overseas counterparts. Reb Zalman, however, was not the type to be overly concerned about the doubts or hesitations of others. As a Chosid of the Lubavitcher Rebbe זי"ע who continually emphasised that, “Even though good is good, better is even better,” he felt that the time had come for Jewish education in Australia to take the next step. He himself had been one of the major driving forces behind the establishment and leadership of the Yeshivah College during the past twelve years. There he had spared no effort in ensuring that it provided a sound Jewish and secular education. Now, however, the first class were matriculating. What would these graduating students be doing next year? Some would almost certainly go to overseas Yeshivos, but the majority would probably commence University in a few months. What a pity that these boys would never have the chance to engage in full-time Torah study. What a loss for them that they would never spend even a part of their lives immersed in an atmosphere where devotion to Hashem and His Mitzvos comes before all else. Reb Zalman felt that he could not just stand idly by and do nothing to help the already good become even better. After consulting with the Rebbe and receiving his full support and blessing, he opened the doors of the first of several temporary premises in Sh’vat 5726 (1966). The Yeshivah Gedolah had started, and the doors have never closed since. After a few years of moving from one location to another, suitable premises were finally acquired. A spacious mansion on Alexandra St. was purchased in 1971 and the new Yeshivah at last had a permanent home. As we celebrate fifty years of uninterrupted activity we can allow ourselves to focus on what has been achieved. Not in order to blow our own trumpet or to rest on our laurels, but rather with the aim of first recognising those factors which have contributed to the genuine growth of the Yeshivah, and subsequently enhancing and improving them. First and foremost on the agenda of any Yeshivah is the study of Torah. Translations of all Hebrew texts are freely available, but nothing can compare with the study of the material in its source. The Yeshivah Gedolah has always aimed that its Talmidim should have the ability and desire to study any and all parts of Torah in their original Hebrew and Aramaic. Countless students have entered the Yeshivah with a limited ability to tackle any sort of Hebrew text. Their subsequent progress has enabled them, whilst still within the Yeshivah, to become conversant with the contents of several Masechtos (Talmudic tractates) as well as now being able to fully comprehend on sight the contents of almost any Sefer. The significance of this achievement has implications far beyond the confines of the Yeshivah. Time and time again Talmidim, who have left in order to continue their studies in larger, overseas Yeshivos, have told us that without the foundations they established in Melbourne their progress overseas would have been seriously hampered. We, for our part, are happy to assist our Talmidim to construct a firm base for their further development elsewhere. In this connection it is important to mention the role of the Shluchim. Starting in 1967, the Rebbe sent six hand-picked Talmidim to be his Shluchim in assisting the Yeshiva in every aspect of its spiritual development. These Shluchim have inspired others through being an example of diligence in learning Torah, and also provided assistance on an individual level through consistently devoting much of their time to learning with local Talmidim. Without the involvement of the Shluchim no such personalised attention could have been provided, and the growth which so many Talmidim have experienced is due in no small measure to their efforts. Of course, there are, in addition to Torah learning, many other crucial areas of emphasis in a Yeshivah environment. For example davening, which is obviously a basic necessity. As in all Yeshivos which are part of the Tomchei Tmimim Lubavitch network, however, davening is seen not only as important in itself, but also as an implementation of all that has been studied in the Ma’amorei Chassidus (Chassidic discourses) concerning our relationship with Hashem, and how we come closer to Him. Similarly with regards to Ahavas Yisroel and the ideas of Bitul (humility) and acquiring good Midos (character traits). These are dealt with at length in the Chassidus studied, and are certainly far easier to put into practice in a smaller, closer Yeshivah than in a larger, more impersonal environment. So much for the internal aspect of the Yeshivah. With regard to interaction with the wider community much could, and probably should, be written. The constraints of space, however, force me to condense a wide-ranging topic into a few lines. Firstly, the learning activities taking place in the actual Yeshivah Gedolah. Many students of all ages attend a variety of Shiurim held daily or weekly on the premises. These Shiurim have served as a bridge between the Yeshivah and several schools, with many high-school students deciding to study in the Yeshivah upon completion of their studies. Secondly, the outreach activities. Every Friday afternoon nearly all of the Talmidim spread out across Melbourne for Mitzvah campaigns. It is impossible to quantify the results with any accuracy, but in any given week hundreds of Jews are provided with something extra to enhance their Jewish identity. Over the years, tens of thousands may have been affected. Similarly, every Pesach about half of the Talmidim, led by the Shluchim, travel to various small communities over Australia, and even Asia, to arrange Sedarim and more. On Chanukah menorahs are lit, and on Purim the Megillah is read, in many locations as a result of these efforts. A more long-term contribution of the Yeshivah to the Australian Jewish community has been the training of rabbis. 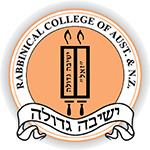 Although the Yeshivah has never had a formal Semicha programme, the fact is that a large proportion of the Rabbinate in Australia are alumni of Yeshivah Gedolah. We are proud of their contribution to the spiritual growth of the community, and are happy to have had a hand in all of their achievements. So, after all said and done, who needs a Yeshivah in Melbourne? I somehow feel that if the one who asked the original question were with us now, to see what has been achieved over the last fifty years, he would probably take a rather different view. May Hashem help the Yeshivah Gedolah to go from strength to strength, for the benefit of the whole of Australian Jewry.